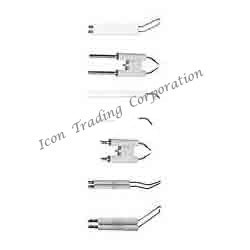 We are leading Manufacturer, Supplier, distributors and Exporter of Ignition Electrodes,electrode needle length can be produced according to customer requirements; the ceramic parts of electrode needle can be assembled according to the different requirements of customers. We are well recognized firm engaged in manufacturing and supplying Ignition Ceramics. Making use of quality raw material, these ceramics are manufactured keeping in mind the industry guidelines. These ceramics are provided with a wire with varied length to meet the different requirements of the clients. Our offered range of these ceramics is widely used as a insulating material for various electrical appliances. Colour Pink/white. By the use of 95% Alumina ceramic with glazed as insulator, possess superior mechanical strength and excellent thermal shock resistance. 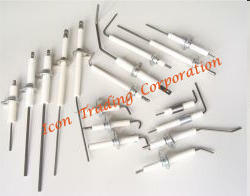 Backed by our wide vendor base, we are importing and supplying premium quality Ignition Electrodes. These electrodes are vital parts necessary for ignition of gaseous fuel in gas combustion equipment by producing high voltage flash-over. Owing to their procurement being done from trusted vendor, these electrodes possess good strength, thermal resistant and high electric load bearing efficiency. 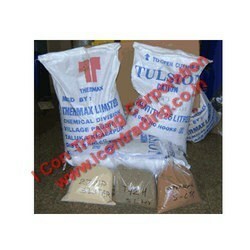 We offer these products to our customers in durable packaging at equitable price tags. 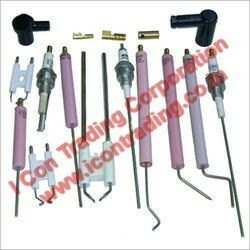 With the aid of our extensive prowess, we are supplying and trading wide assortment of Burner Ignition Electrodes. Widely recommended for use in ignition process of fuels in industrial burning processes, these electrodes are procured from trusted vendors. These electrodes are designed and fabricated by team of adroit professionals at vendors' end which makes them precisely finished and thermal proof. With the aid of modern tools and sophisticated technologies, we have been able to provide the customers with a comprehensive assortment of Boiler Ignition Electrode. Extensively used in diverse industrial operations such as oil 7 gas firing, the range is acknowledged for efficiency and user-friendliness. We have attained wide recognizance by supplying and trading Industrial Ignition Electrodes for Oil and Gas Burners. Our offered electrodes possess excellent durability, high voltage output and thermal resistant traits, hence have intense use in various industrial burning application for oil and gas burners. Owing to their procurement from notable vendors, these electrodes are manufactured by using finest grade technology in various specifications as per clients precise needs. Keeping in sync with the ever-changing demands of the customers, we are engaged in putting forth the clients a commendable assortment of Ion Exchange Resins. The entire range is sourced from reputed vendors who utilize genuine raw material and advent machinery during the fabrication process. Extensively used in diverse applications for softening ion-resins to produce ultra pure water, the range is safe and skin-friendly to be used. Looking for Ignition Electrodes ?